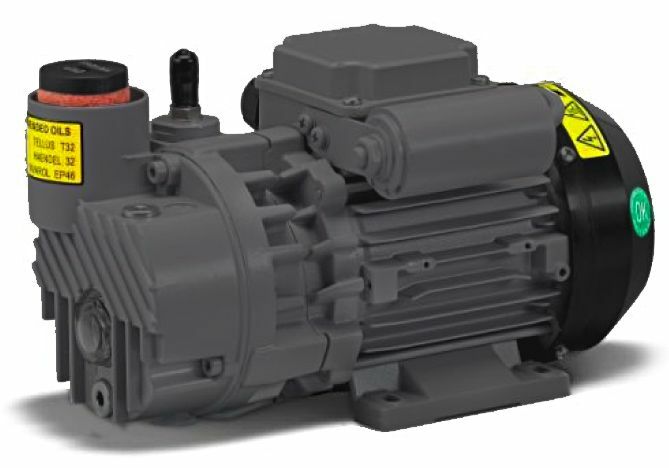 Oil lubricated vacuum pumps with oil recirculation belonging to the OL series are blade rotary type with rotor supported by bearings, flanged motor and are automatically lubricated. Their main features are heavy construction design, high performance and reliability, easy maintenance. The pumps are able to achieve the end vacuum of 2 or 0.5 mbar absolute depending on pump model.